Here we look at the best fitness supplements from all over the world and the internet, discussing how you can get yourself into the best shape possible. Sometimes a supplement can be the difference between success and failure in your fitness goals! When it comes to finding a good pre-workout, it can be difficult because there are so many out there, but we’re trying to help you out by reviewing the best pre-workouts available in 2019. Optimum Nutrition is a trusted brand when it comes to sports nutrition. That’s why we have reviewed Optimum Nutrition’s Gold Standard pre-workout in the pink lemonade flavour. 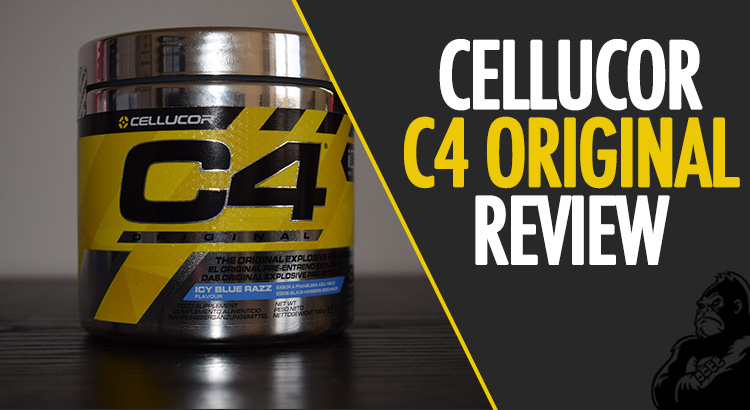 We hope our ON pre workout review is detailed enough to help you find the best pre-workout. 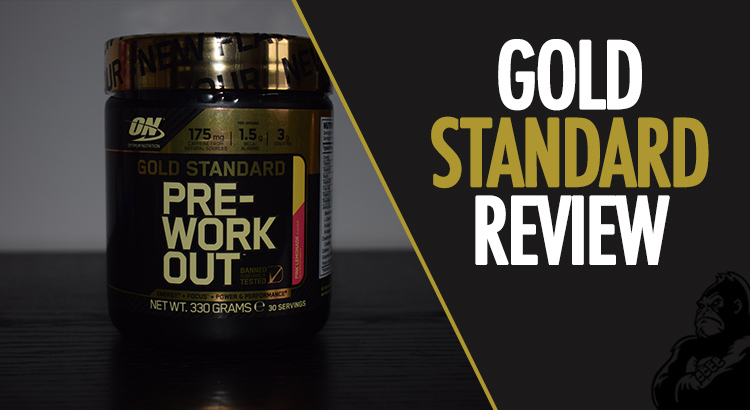 Gold Standard Preworkout claims to increase energy and focus. As well as, support endurance and stamina. It sets high standards when it comes to pre workouts so we thought we would try it out. It sets to help you accomplish your goals when it comes to working out, whether that be lifting more weights or getting the last rep in. PhD’s VMX2 claims to be an advanced, high-performance formula that is suitable for bodybuilders, athletes, powerlifters and team sports. It helps bodybuilder with their reps of heavyweights, deliver explosive strength to powerlifters, offers increased performance for athletes and helps with short burst strength and match endurance for team sports. They say it is so concentrated that they haven’t included colourings to the list to enhance performance. PhD seems to have created a preworkout that is fit for all. We’ve decided to put this supplement to the test in our mission to find the best preworkout supplement in 2019. Myself and 2 other Tubby Gorilla reviewers (2 male and 1 female) tried this supplement before our gym session and we give our honest thoughts and experiences. 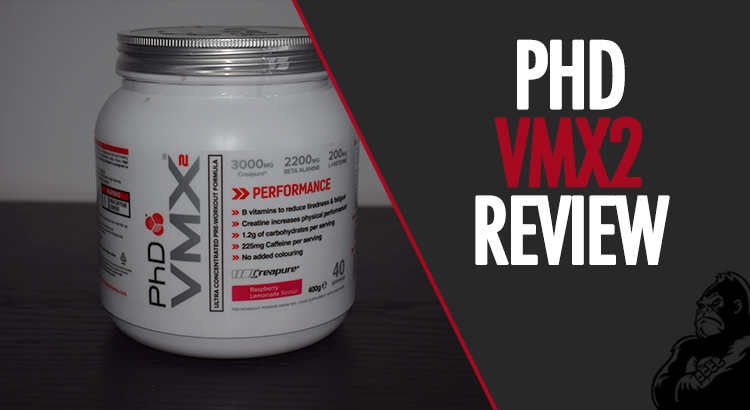 We tried PhD Nutrition VMX2 pre-workout in raspberry lemonade. Here at Tubby Gorilla, we’re on a quest to find the best preworkout. We’re testing out the highest rated pre-workouts and have a few different reviewers to help out and note their experiences. Next up is the MusclePharm Assualt pre workout. This supplement has a good reputation and from the packaging really does look the business. But is MusclePharm a good pre-workout? 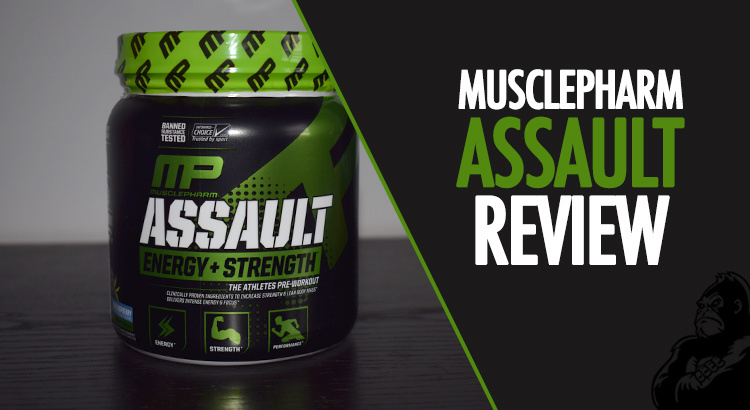 We reveal all in this MP Assualt pre-workout review. Claiming to have clinically proven ingredients to increase strength and lean body mass. It also states to deliver intense energy and focus. It sets the standard high and expects to deliver a boost in achieving fitness goals, like strength, muscle fuel and power. 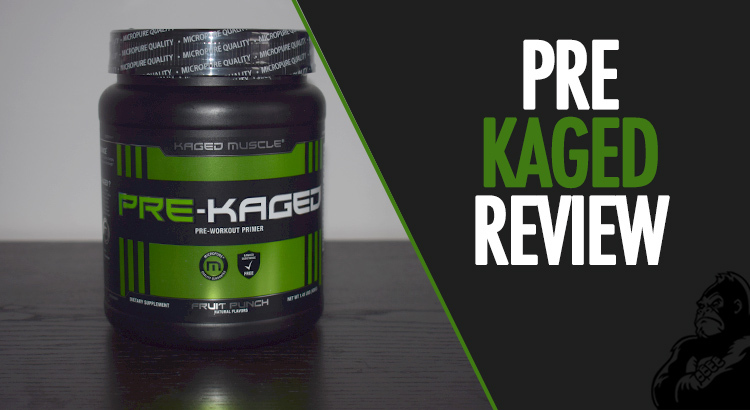 We’ve reviewed the Pre-Kaged by Kaged Muscle, fruit punch flavour as part of our search to find and review the best pre-workouts available. We had a few reviewers try a wide range of pre-workouts before heading to the gym for a workout and told them to note the effects they felt, including performance boost and side effects. How did Pre-Kaged perform in our test? 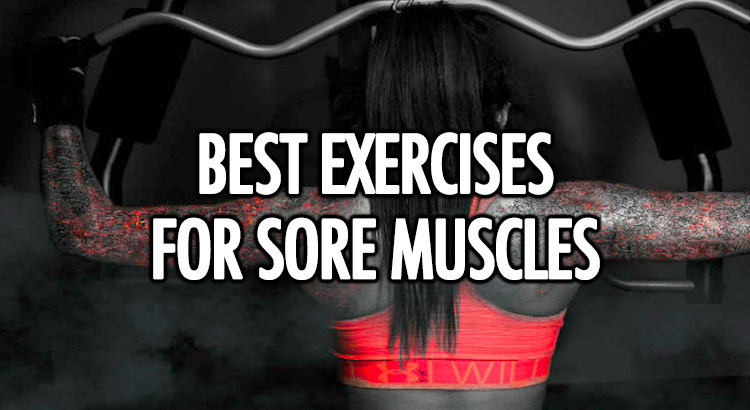 Suffering from sore muscles the day after a heavy gym session? Did you find getting out of bed was tough this morning? You did have leg day a couple days ago at the gym, right? But showering this morning was hard too. You dropped the bar of soap and there was no way you were going to pick that up. That can stay there until tomorrow. Maybe today you’ll take the elevator because those stairs sound like torture. Sounds like someone has a case of DOMS. No, this is not a disease you need to get checked out. This is Delayed Onset Muscle Soreness. This is that stiff, sore feeling after doing a strenuous workout and it plagues everybody. …to being a snivelling toddler who has trouble sitting down on the toilet. DOMS isn’t just a beginner’s affliction. Even seasoned athletes get cases of extreme muscle soreness the day after. Many even experience DOMS up to 72 hours after the workout was completed, which could leave you confused about why your arms are too sore to shampoo your own head. While DOMS is a real thing, it doesn’t have to be a real downer. You work through the muscle aches and learn to master it. We want to give you all the info about sore muscles and dish all the good stuff you need to know about DOMS.